The key to his success is not only his talent but also a broad range of skills. 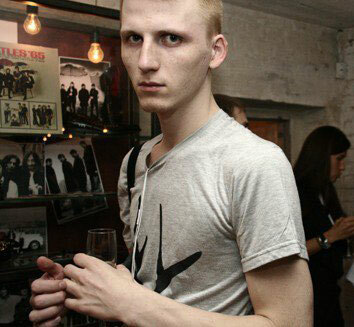 While studying tailoring and pattern-making in college, he worked as a model and later as a stylist for major Ukrainian magazines. 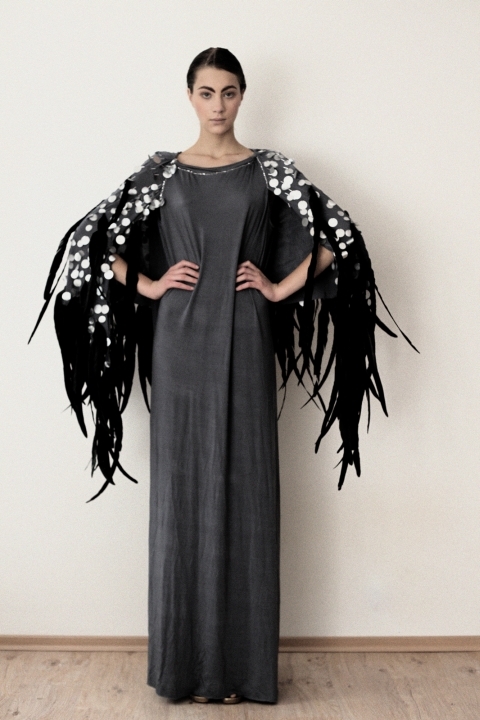 Artem Klimchuk’s spring 2011 collection, called Forest Song, makes reference to Ukrainian folklore. Washed silk and distressed cotton pieces in black, pearl gray and burgundy are adorned with Swarovski crystals and feathers for a mysterious yet effortlessly chic look. Q: You used to work as a model and a stylist. How did that early work influence you as a designer? A: I had all the connections I needed right from the start. I knew what, how and why everything should be done, like the call time for models or how much time the make-up takes or if the catwalk is indeed too slippery and what should be done with shoes in this case. It saved me a lot of time and nerves. Another advantage of being both a designer and a stylist is that you have a better and broader perspective. However, right now I work with another stylist, because a third party professional outlook is very important. Q: Where do you usually look for inspiration? Do you read magazines, watch movies, listen to music? A: It is a constant but passive process, it’s not really like I’m looking today, not looking tomorrow. I choose a theme for my collection, then upload a new track list to both my iPods, watch relevant movies, browse art books… I don’t read magazines any more because I need information from original sources, not secondhand ones. Q: Do you have a muse? Who is the woman you design for? A: My clients and female friends are my muses. I design for a self-confident, independent woman who doesn’t need to prove anything to anybody and does everything the way she likes it. Q: What items from fall-winter 2010 collection sell the best? A: Basic cardigans, maxi dresses… Maxi dresses from both fall and spring collections sell well. Q: Do you plan to add a line of shoes, handbags or other accessories? A: Of course, but it is very difficult for such a perfectionist as myself to find the right manufacturer with reasonable prices willing to take small orders. Q: In which boutique or department store in the world would you like to see your collection? A: Such a list could take two pages! First of all, it should be a large and renowned department store with an appropriate selection of brands and a great fashion director. But small concept stores are just as attractive for me. I would say that, for the simpler, more wearable items, it would be great to sell them through department stores, while for exclusive, more sophisticated items, I would prefer concept stores like Dover Street Market. Q: How do you see your brand evolve in the future?